Motorola has been rolling out Android Marshmallow for its smartphones, but the company is now ready to roll out Google’s sweetest treat yet for its smartwatches. The second-generation Moto 360, the latest Android Wear-powered smartwatch on Google’s wearables platform, is now getting Android 6.0 Marshmallow. 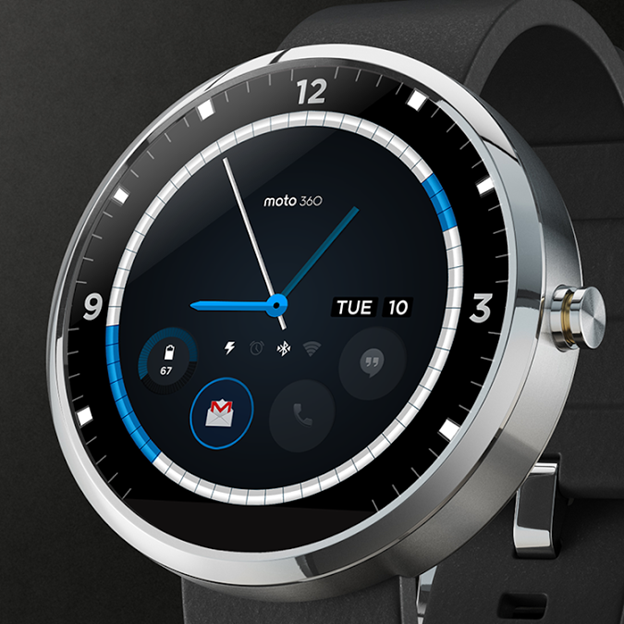 Motorola published the update notes at its own website, with the company noting the enhancements Marshmallow brings to the Moto 360 such as new languages support, doze mode, screen dimming, app permissions, moto body running, new wrist gestures, manual date and time setting, Bluetooth headset audio improvements, performance improvements, and bug fixes. Doze Mode is a highlight feature in Android Marshmallow, helping your Moto 360 save on battery life when you’re not using the device (when it’s either sitting on a stand, counter, table, or on your wrist), and it’s said to be one of the biggest changes to Android. Doze Mode is designed to help you save on battery life by conserving what you have and preventing apps from running in the background and consuming your battery life. Screen dimming is done for the same purpose: to help you save on battery, with your Moto 360 screen dimming and turning black when not in use in order to conserve as much battery as possible. New wrist gestures are designed to help you access the cards and notifications you need when you need them. Manual date and time setting changes for the Moto 360 will now allow you to change the date and time when you need to. This is helpful in instances where you experience a time change and find that the Moto 360 may not adjust to the new time zone (or reversion to the old one when you get home) when you travel from your residence to a new place. Moto Body Running is designed to help you track your exercise and fitness data indoors, and this continues the smartwatch’s fitness tracking capabilities. We don’t know if this update will bring some new additions to the look of the fitness tracking software that can be found on the Moto 360 Sport. For those who want to update their devices, you can head to the update on your Moto 360 via the smartwatch settings. For more information, feel free to visit the Motorola website. Happy downloading! Have you downloaded the new Android Marshmallow Moto 360 update? Notice any changes? Like the new changes that you see, or are there some changes Motorola has made that have you dissatisfied?